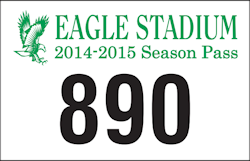 deSIGNery Sign Company is a supplier of high quality custom screen-printed parking permits. 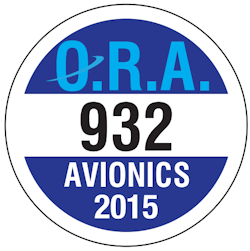 Pressure-sensitive white vinyl and reflective decals are screen-printed for durability, and consecutively numbered with 7/32", 3/8", 1/2", 3/4" or 1" numbers numbers to make your parking permit numbers more visible, and your parking easy to control. 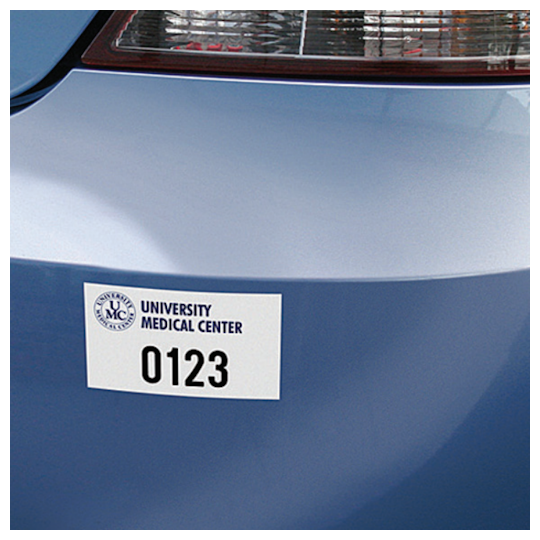 White & Reflective parking permit stickers are screen printed with UV inks and generally used on exterior of vehicles. 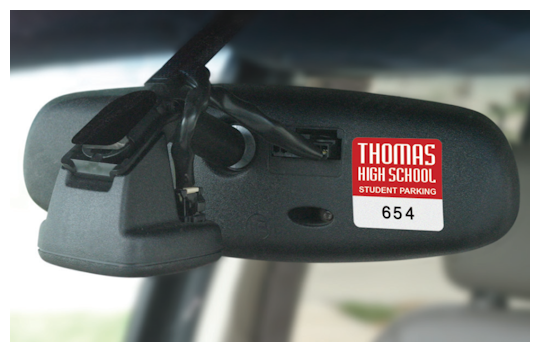 Check out our Spring Sale for savings on White & Reflective Parking Permit Stickers and Parking Permits in the following link. BBB Member since 2004 with a proven record of complaint free customer satisfaction on items like White & Reflective Parking Permit Stickers. Click on the BBB logo above to check our record or leave a customer review. 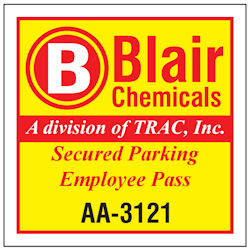 If you are in the market for Parking Permits, give us a call today and you will soon realize why after 24 years we still have an A+ BBB rating! Parking permits can be used just about anywhere for any company or organization. Parking lots that use restricted parking spaces, reserved or company specific will find that parking permit stickers are the way to go. deSIGNery’s Square Cut Parking permit stickers are made from high quality materials and are printed using UV inks to help prevent fading. These white vinyl and reflective parking permit stickers are convenient for security, employees, and even emergency vehicles. To keep things more organized for your company, we offer consecutive numbering on all of our parking permit decals. 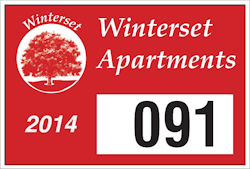 Numbered municipal parking stickers are convenient for relating numbers to employees or students names, or even relating the number to parking spaces at apartment complexes. Square vehicle parking permits work well for schools, libraries, government departments, corporations, hospitals, private buildings, and gated communities. The parking permits come in a few different sizes and layouts, printed with your company’s information. There are two different materials available for these parking permit stickers. 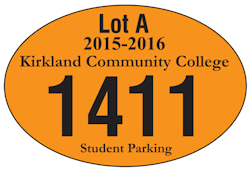 Our parking permit stickers give you the option of having consecutive numbers or not. Some companies don’t need the numbering; making the parking permits more like a parking pass. Parking passes are convenient for gated communities or parking garages at hospitals and courthouses. An example of a company that would find the consecutive numbering convenient would be for work trucks for city or construction departments or apartments. The consecutive numbering is available to be your choice of white or black.